$13 cream outperformed the most expensive. Consumer NZ chief executive Sue Chetwin said the test of nine moisturisers found a $13 cream outperformed the most expensive, luxury-priced La Mer: the Moisturising Gel Cream, which retails for $520. Most of the creams delivered good results, providing performance on a par with the standard cream used in the test as a control. But the $520 La Mer gel cream was an exception, delivering only average results. You can find creams for less than $20 that will do the job. Testing measured the moisturising efficacy of the creams after four weeks of daily use. Products were blind tested by women aged between 25 and 66 years with a normal to dry skin type. “If you’re looking for a moisturiser, you don’t need to splash out on a high-priced product. You can find creams for less than $20 that will do the job,” Ms Chetwin said. We’re also advising shoppers not to place much store in claims products are “hypoallergenic” or “dermatologically tested”. “There’s no standard definition of these terms. Products carrying the claims can also contain potential allergens such as fragrances and preservatives. If you have sensitive skin or want to avoid certain chemicals, your best bet is checking the ingredients list,” Ms Chetwin said. Moisturisers are regulated by the Cosmetic Products Group Standard. The standard requires products to display an ingredients list, a batch code and contact details for the manufacturer or supplier. More information can be found in our full report. 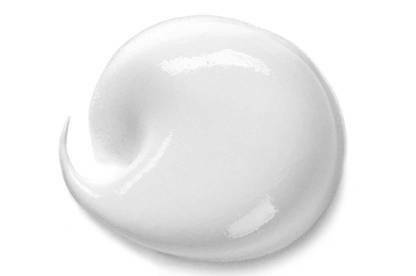 The moisturising efficacy of the nine creams was tested by corneometry. A corneometer is used to provide a measure of the skin’s hydration. Measurements were taken prior to and after use of the products over a four-week period. Creams were applied twice daily. Measurements were performed in humidity- and temperate-controlled conditions. Volunteers applied the moisturising cream to one forearm. The control product was applied to their other arm. Testing was commissioned by International Consumer Research and Testing, London.